Most of us pursue self-interest every day: we eat nutritious food, engage in productive work (to have a purpose and to make a living), look after our health, enjoy recreation and entertainment, spend time with friends and loved ones, and go to the mall to buy things we need and want. Business firms also pursue the self-interest of their owners, by producing and trading goods or services to maximize profits. People and businesses pursue self-interest to survive and flourish. Nevertheless, a majority of people reject the idea that self-interest is moral. By doing so, they create a conflict between their moral beliefs and daily actions. They associate being moral with altruism, the moral code of self-sacrifice. Always putting others’ interests first is the ideal of altruism, which is its true meaning–as opposed to kindness or benevolence that many mistakenly believe it to be. Being selfish, pursuing your self-interest, is considered evil and immoral. Most philosophers and religions have promoted this view, and many prominent contemporary intellectuals, such as Sam Harris, have accepted it. Very few have ever questioned it. Yet, altruism is destructive and incompatible with all areas of human life and flourishing, including business. Altruism’s appeal is the comforting thought that it is the duty of others to help you based on your need (as opposed to you depending on voluntary charity). You are not responsible for providing for yourself; others are supposed to give up their interests for your sake. If you are hungry, it is the duty of others to feed you, or give up their own meal. If you need housing, others must provide it. If you need a job, someone must hire you—not based on your qualifications but on your need for a job. And if your competitors are better at winning customers than you—because their products and services are better—they must sacrifice their self-interest by sending customers your way. The destructiveness of altruism lies in its condemnation of a fundamental requirement of human survival and flourishing as evil. If we systematically reject self-interest, we will die—the inevitable consequence that most advocates of altruism evade. (The dead are incapable of self-sacrifice, after all). This consequence, however, was not lost on the famous proponent of altruism, John Stuart Mill. He said that we should only take for ourselves the bare minimum that would maintain our strength to keep serving others. While most people do not take altruism literally or follow Mill’s advice, they still consider altruism a moral ideal—a moral ideal that can never be even approximated and is therefore a constant source of guilt. When businesspeople accept altruism as the moral ideal, it becomes a powerful weapon in the hands of those who attack business, from environmentalists the ilk of Al Gore, to advocates of ‘social justice’ and income equality, and leftist politicians and intellectuals. Business by definition must pursue the self-interest of its owners. If it did not, it would not be able to survive and flourish on the long term. If those running business firms accept altruism as the moral standard, they can never defend themselves against the critics demanding more sacrifice of profits for whichever favorite environmental or social cause. Managers embracing altruism would have no consistent guideline do determine when, to whom, and how much to sacrifice, and when to focus on profit making. 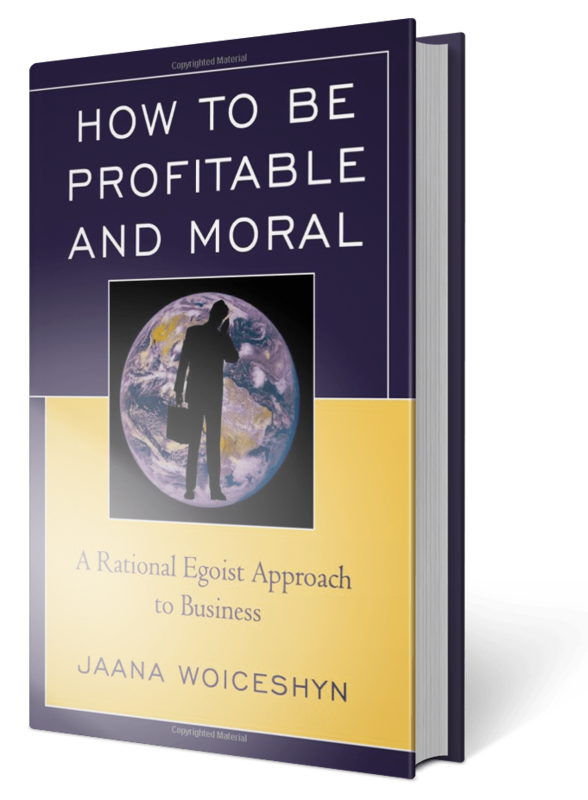 If a business firm is to survive and flourish—to maximize long-term profits—those in charge of it must reject altruism. Instead, they must embrace and apply the morality of self-interest, rational egoism, developed by Ayn Rand on the foundation laid by Aristotle. Previous articleAre you a “people-pleaser”?